Guys, try guardian cross for IOS. 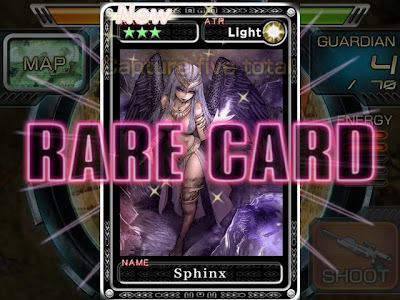 Its a free trading card game. It's similar to Pokemon wherein you capture monsters and do battle (without the cuteness). Its developed by square so production quality is high. Hiroyuki Ito revolutionized Final Fantasy with the Active Time Battle system. 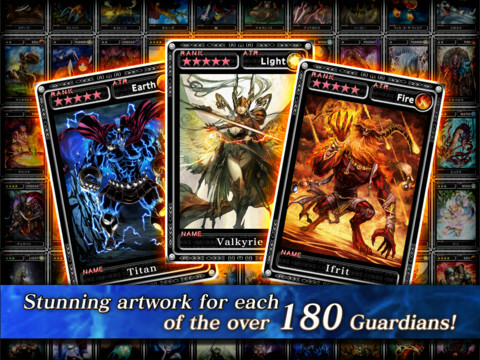 Now, Ito is taking a stab at changing card battling games with Guardian Cross. Akira Oguro, character designer on Final Fantasy IV: The After Years and Final Fantasy: Dimensions, designed characters for Guardian Cross too. Final Fantasy XI composer Naoshi Mizuta made music for the game. 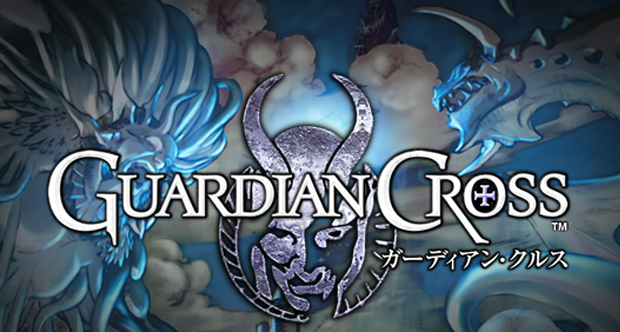 In Guardian Cross, players tame Guardians using a magic rifle. Then you can train Guardians and put them in a deck to battle other players. 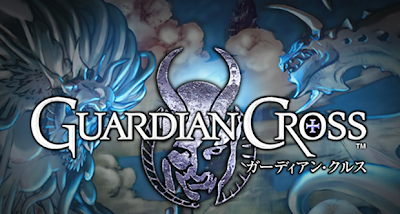 Guardian Cross has over 180 different Guardians in the game and some of them look a lot like their Final Fantasy equivalent. Guardian Cross is available as a free download for iOS devices. -a tactical retreat is a good idea if you happen to doubt your party's strength against an average attack of 1100, determine how much chain time left and strengthen your guardians! Just want to emphasize that hunting efficiently, party positioning, and trading with other players is important in Guardian Cross. Little bit more difficult to play on the iPhone than on the iPad. Guardians’ skills, or abilities, are casted using MP. There are a total of 5 skill categories: Buffs, Debuffs, Regenerations, Physical Attacks, and Elemental Attacks. Buffs are skills that boost a single attribute of your Guardian (ATK, DEF, AGI, or WIS) by 10% or 20%. Effects of buffs do NOT carry over to the next Guardian in your party. Also, buffs will not be casted again after revival if the Guardian has Revival skill. Debuffs are skills that lower a single attribute of your opponent’s Guardian (ATK, DEF, AGI, or WIS) by 20%. Effects of debuffs do NOT carry over to the opponent’s next Guardian. Same as buffs, debuffs will not be casted again after revival if the Guardian has Revival skill. There are 5 Regen skills: Life Drain (HP absorption), Energy Drain (MP absorption), Heal (HP recovery), Greater Heal (HP great recovery), and Revival (reappear once after death). The strength of Life Drain depends on ATK, and the strength of Energy Drain depends on WIS. Revival only has a certain chance of happening in battles. Physical Attacks do NOT equal to normal attacks. They consume MP too, but their strength depends on ATK. There are 8 Physical Attack skills ranging from +1 to +4, called “Strong Physical +?”. The larger the number is, the stronger it is. Note: Cross Slash (Strong Physical +2) has additional effect of AGI debuff to opponent. Heavy Blow (Strong Physical +2) has additional effect of DEF debuff to opponent. Like Physical Attack skills, Elemental Attack skills have strength ranging from +1 to +4. With a total of 8 Element types, there are 32 skills (There’s no Death, Mecha, and None element attacks). Elemental Attack skills are dependent upon WIS.
it may not be a taboo matter but typically folks don't speak about these subjects. To the next! Many thanks! !